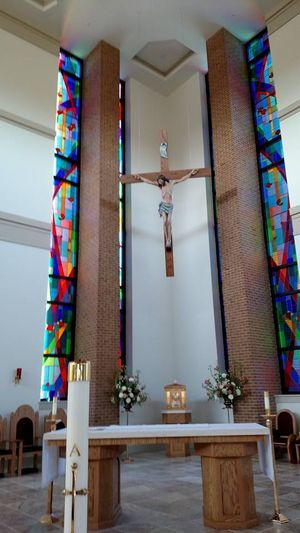 Laws Stained Glass Studios has worked with St. Therese Catholic Church in Mooresville, NC on numerous occasions. 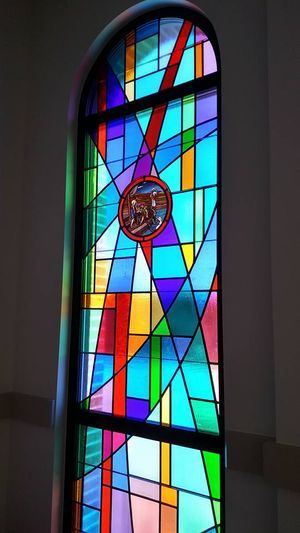 In 1982, Laws restored and re-sized (10) existing leaded opalescent glass windows which included new 12" round biblical scenes, new braces, and waterproofing. Laws also provided two new top sections and two new bottom sections for two of the windows. 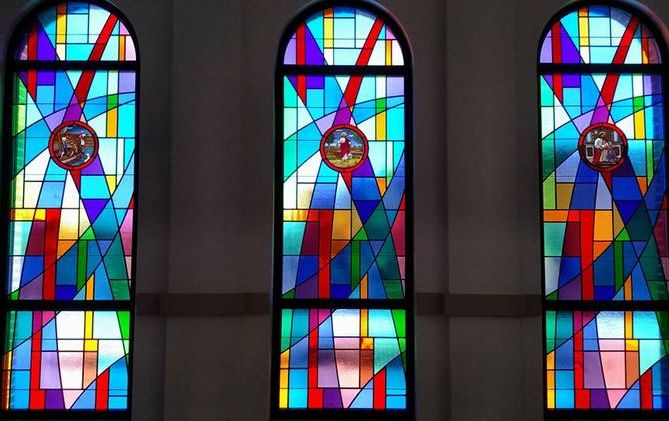 In 1987, Laws removed these windows and installed them into their new sanctuary. Laws provided new dark bronze aluminum frames for the (10) windows and (6) hand-stained pictorial windows. Above each window, Laws made new round tops. The tops over the pictorial windows including a cross and rose symbol. Laws also provided new door panels and protective covering. In 1999, St. Therese added a new family life center. 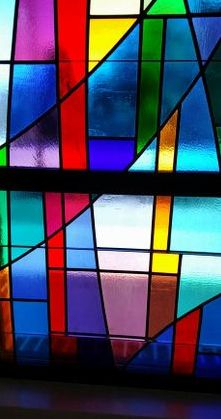 Laws Stained Glass Studio provided (2) new faceted glass windows in the shape of a cross including dark bronze aluminum frames. 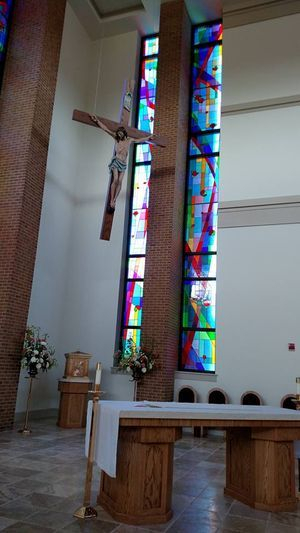 These large cross windows are 11 feet wide and 16 feet high. 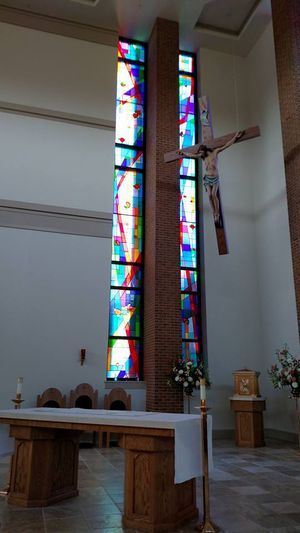 In 2015, Laws Stained Glass Studios installed (10) new leaded, cathedral glass windows for the new sanctuary at St. Therese Catholic Church in Mooresville, NC. Laws' road crew installed the windows into aluminum frames provided by the contractor. The four large windows (3 feet wide x 34 ft. high) have an abstract design with roses and rose petals floating down. The roses represent Saint Therese. The six round top windows (3 feet wide x 9-1/2 feet high) have 12" round scenes from the life of Christ.